Police in Berlin have praised an "honest finder" who handed in cash and gold bars worth a total of €33,500 ($40,000; £30,000) found in a briefcase under a tree. 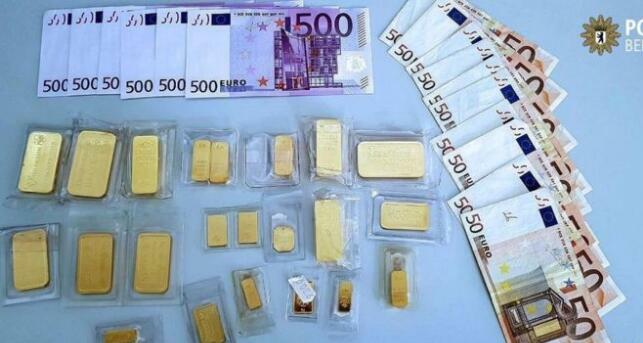 The small fortune comprising €3,500 in cash and 22 gold bars weighing a total of 1kg was found just outside a bank in the working class district of Neukölln. "Amazing what you can find under a tree in Neukölln," the police said on Twitter. They later tracked down the owner. He had put the briefcase down as he locked his bicycle and then completely forgot about it, police said. The person who handed the briefcase in will not go empty-handed however - German law stipulates a finder's fee of between 3% and 5% of the value of the items found, Spiegel magazine reported. The lost and found office could also charge a fee of 10% for keeping the items safe, the magazine said.